Meet the Wedding Shoppe, one our newest Hand Picked vendors and a family owned bridal salon located on historic Grand Avenue in St. Paul, Minnesota. Since 1977, the Wedding Shoppe has been helping brides and their parties bring their wedding dreams to reality as one of the largest, individual bridal salons in the country. They take pride in providing their customers with an exceptional and memorable shopping experience by creating happiness, being passionate, thinking outside the box, and keeping the wedding planning process as simple as possible. Welcoming each of their customers into the Wedding Shoppe family, they can’t wait to help you find exactly what you’ve been looking for. 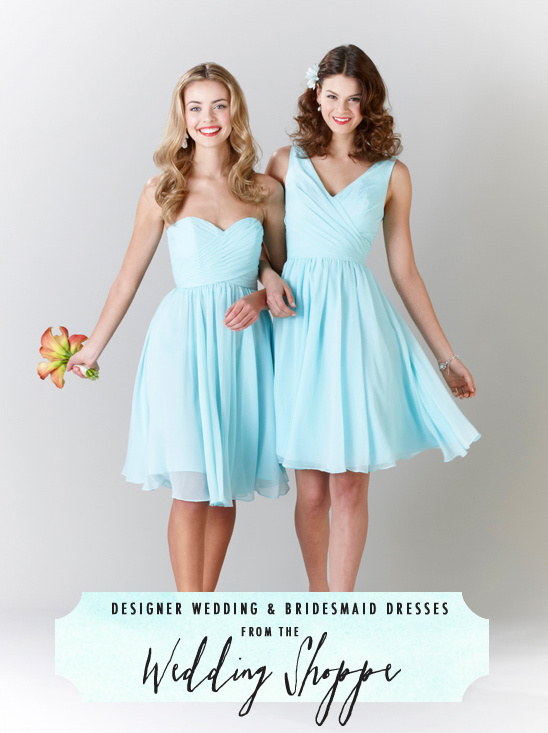 In the spring of 2012, Wedding Shoppe launched their very own line of wedding attire called Kennedy Blue, a designer line of bridal gowns and wear-again bridesmaid dresses designed with the beauty and grace of every woman in mind. Not only are they the exclusive retailer for the designer brand, they are also the only retailer to bring the Find-Try-Buy Service to all of their Kennedy Blue customers. For just $1, Wedding Shoppe will ship a bridesmaid dress to you in the size of your choice for you to try on, allowing each bridesmaid to feel confident in her choice. 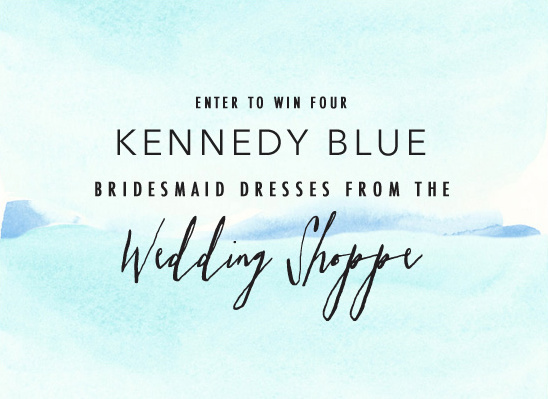 Speaking of Kennedy Blue - visit Wedding Shoppe for a chance to win four Kennedy Blue bridesmaid dresses in their Dream Wedding Contest on Pinterest! Click here to enter.